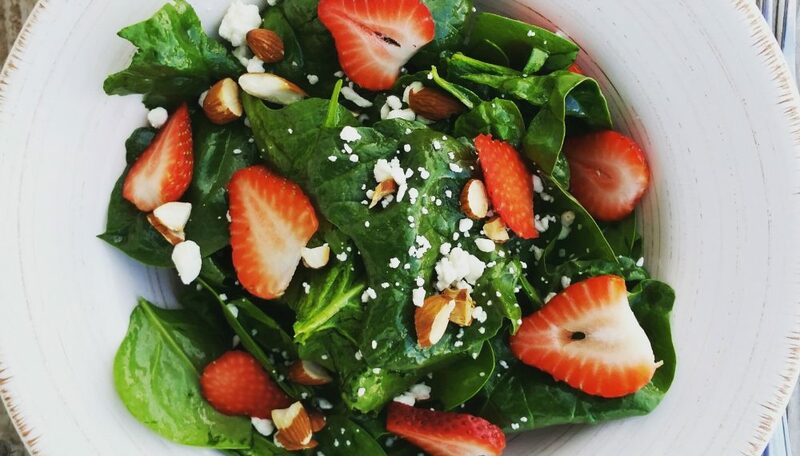 This is a refreshing Spring salad for when berries and spinach come into season. After a long winter, this salad tastes so good! Enjoy!